And live at The Lab on the following night ! 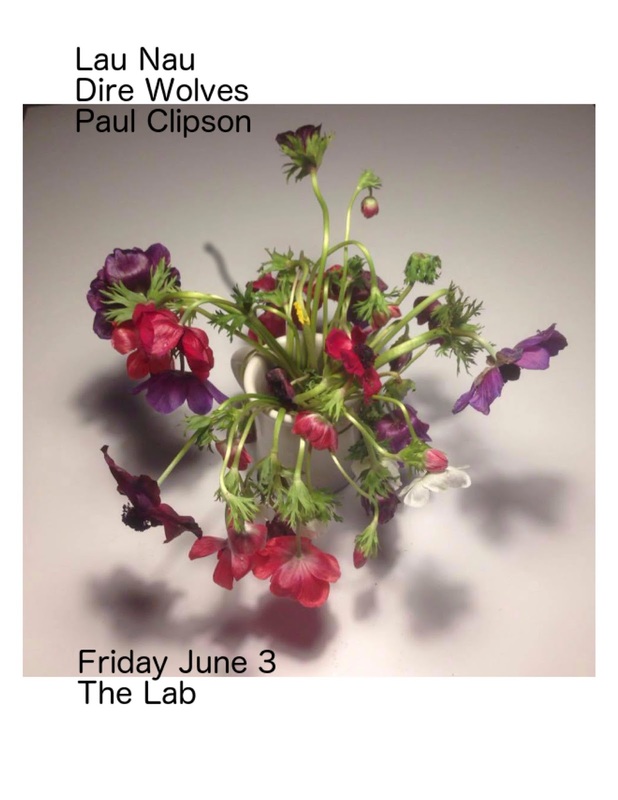 Along with Dire Wolves and live 16mm film work from Paul Clipson - whoa !! ADVANCE TICKETS HERE. Brand new Dire Wolves tapes coming sooooon on Sloow Tapes from Belgium ! New podcasts up! Jeff from 3 Moons live this Thursday! This week on Pome Pome Tones - Jeff from 3 Moons live in the studio. Check out a bunch of his projects here -- https://3moons.bandcamp.com/ and here -- https://soundcloud.com/jefferson-z. 3 Moons was Founded in 2010 by Jefferson Zurna, who performed and published tapes as a solo artist while living in Kansas City, Minneapolis, and Portland, OR. In 2012, Dena Goldsmith-Stanley joined 3 Moons, and the duo toured extensively, while living in a small mobile home. The Duo routinely collaborates with fellow artists and musicians and currently resides in Oakland, CA.